BUKIT JALIL, 15 January 2014 - Being the only squad upgraded from the Pro Continental ranks to the World Tour in 2014, French team Europcar will be under pressure to perform at Le Tour de Langkawi from February 27 to March 8. While South Americans are often under the spotlight climbing up to Genting Highlands, they might be challenged this year by an African who is one of the biggest prospects of cycling worldwide, having developed through the World Cycling Centre of the UCI (Union Cycliste Internationale) like Tour de France winner Chris Froome and more recently Malaysia’s Sofian Nabil Omar Bakri. Martinez is poised to become the lead out man for Coquard at the Tour de France. 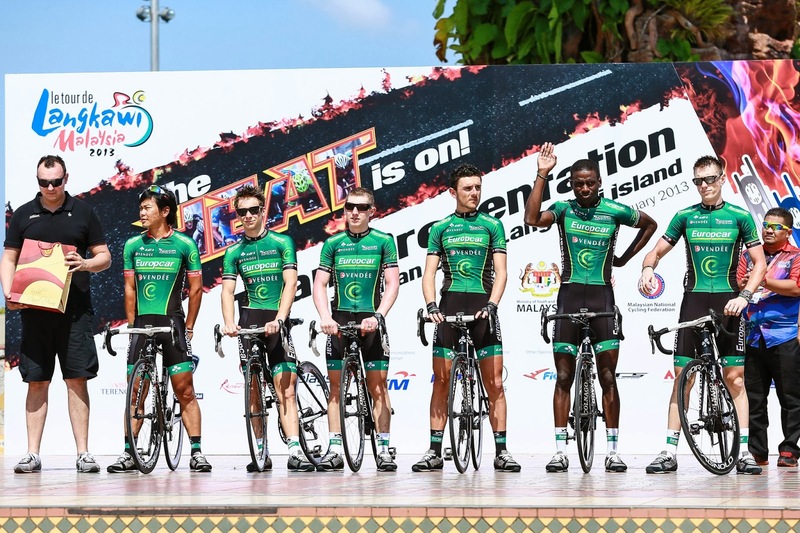 Still an amateur team named Vendée U in 1996, the squad managed by former Tour de France star Jean-René Bernaudeau returned to Malaysia as a professional outfit called Bonjour and won their first pro race in Sitiawan with Damien Nazon in 2000. Under the appellation of Bouygues Telecom, they’ve also claimed stage victories with Matthieu Sprick and Yohan Gène in 2008 and 2009 respectively. Natnael BERHANE (Eri), Antoine DUCHESNE (Can), Romain GUILLEMOIS (Fra), Christophe KERN (Fra), Morgan LAMOISSON (Fra), Yannick MARTINEZ (Fra). Organised by the Ministry of Youth and Sports, via the National Sports Council (NSC) in association with the Malaysian National Cycling Federation (MNCF). The 19th edition of Le Tour de Langkawi (LTdL) from February 27 to March 8, 2014 is set to cover a total distance of 1,507.9km over 10 stages, the UCI 2.HC (hors category) race featuring again as one of the biggest events on the UCI Asia Tour calendar. By using Car Rental 8 you can find affordable car hire from over 50,000 international locations.